Purchased by my Dentist Father 30+ years ago from the auction for 400$. I have never seen a picture of one exactly like this one. 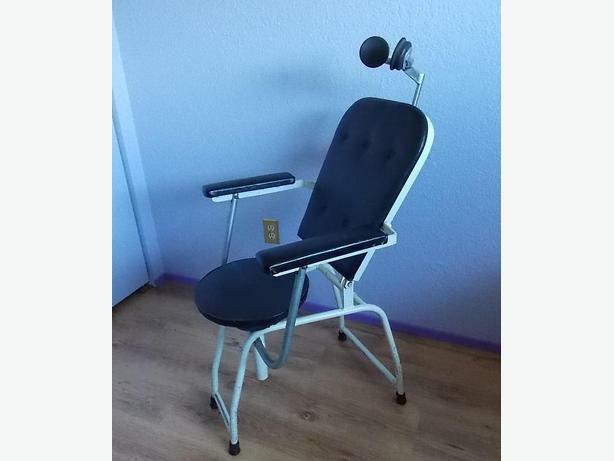 Was sold as a mobile Army field Medical chair , but I don't think that's accurate, although most were more ornate than this one.